People Who Buy Houses | Styl Properties, Inc.
You might think people who buy houses are crazy little buggers. They spend money they don’t always have on houses that are in foreclosure or disrepair or short on maintenance that have a lack of features that today’s buyers want. These companies like Styl Properties, Inc. buy houses at slightly under market value, close in less than 30 days, make necessary repairs, and then want to sell the house for a profit. People who buy houses are providing an essential service to those homeowners who need to sell fast. Debt – Financial challenges are the main motivators for deciding to sell a home quickly. Too much debt can lead to possible foreclosure or even bankruptcy. People who buy houses can resolve the situation, so your credit rating doesn’t suffer more. Divorce – It is particularly stressful to go through a divorce. Once the property division is settled, people who buy houses can close quickly so you can get on with your lives. Death in the family – When families live in separate states, it is hard to take care of the family home from another city, and travel is expensive. People who buy houses can help. They can make a cash offer for the house, even while in probate. Downsizing – The house is just too big for the two of you, now that the kids are gone. You decide that you need something smaller. Maybe, you have the travel bug and don’t want to worry about the big house in the States. People who buy houses can pay cash for houses, and you can be on your way to a smaller house or the Amalfi Coast of Italy. In addition, you may have aging parents that you want to move to an assisted living environment. With our busy lives, would you like to get them settled in their new home quickly? People who buy houses can help. Another reason to want cash for homes Omaha is a fire. Rather than fix it up, maybe, you would rather take the insurance money and move to another area. The point is if you want to sell your home for cash, people who buy houses are here to help. How does our process work? 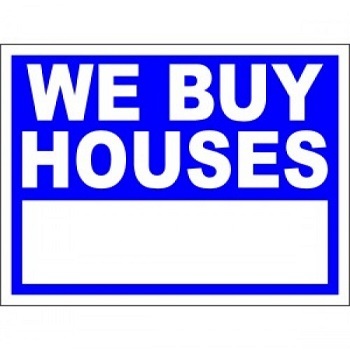 People who buy houses know your neighborhood and the house prices. They purposely examine your house, note any deficiencies, figure out what it would cost to fix those items, and at what price they could sell the refurbished house. People who buy houses explain how they calculate the profit they need on their investment and then make an offer for your house. People who buy houses will tell you, with them, you don’t have to adjust the sale price for the cost of the repairs pointed out by an inspector. They point out that there are no realtor commissions of five to six percent to pay out of your proceeds. In fact, there are no fees whatsoever. There are no open houses to live through and no fears that something goes wrong when it’s time to close.